With over 20 years of experience managing projects in innovation and technology, Gordon Kakegamic is an experienced project manager that has brought positive changes to First Nations communities and organizations in the Nishnawbe Aski Nation (NAN). A dedicated professional and innovator Gordon has worked with government, education, and industry to achieve positive outcomes for First Nations peoples through collaborative education and training initiatives. Gordon has a background in Computer Science from Lakehead University. Gordon developed an early interest in computers and programming languages. After college and university, he set out to apply his computer science background towards bridging the education gap in First Nations by pushing forth the promise of broadband technology and e-learning in NAN First Nations. Over the years Gordon has long been involved in the application of information and communication technologies and tools that have been effectively used by and for First Nations peoples living in remote communities who face multiple barriers to education and training opportunities. 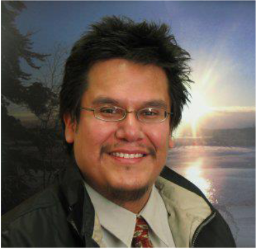 His early work in pioneering the uptake and use of the WWW to support high school programming at Wahsa Distance Education Centre has led to increasing access to secondary education for students living in remote First Nations communities. His work with K-Net in bringing NAN into the information highway forefront has progressively contributed to its globalization, modernization, and digitization of information and communications between NAN and its members. Gordon has made the greatest impact through advancing Oshki-Pimache-O-Win Education and Training Institute’s vision and mission by creating unique partnerships with NAN communities, mainstream education institutions, and industry for delivering innovative education and training initiatives focused on community and industry needs. He has a passion for collaborating with industry and creating opportunities for First Nations youth living in remote northern communities. Gordon is a member of the Sandy Lake First Nation. He currently lives in Thunder Bay with his three grown-up children.